Buxton Heating are proud to offer a dependable and professional boiler installation and repair service. We have helped a number of customers in the Petersfield area with their central heating requirements. Our experienced team are able to offer you expert advice and suggest the best approach to installing a new central heating system for your property. If you would like to find out more about our boiler installation, servicing and repair services then please do get in touch and our team will be happy to help advise you on the best course of action to take. There are a number of different boilers available and we know it can be difficult to choose the best central heating solution for your property. Our expert team are fully qualified gas engineers and will be able to help you make the right decision on whether you go for a combi boiler, system boiler or a conventional option. An efficient and effective boiler is a very important component of your home, so make sure you choose an installation team who have plenty of experiencing installing a range of domestic boilers. Our engineers have years of experience and are Worcester Bosch boiler accredited installers, which is a testament to the high standards Buxton Heating deliver to our customers. It is important to have your boiler serviced to ensure it is working properly and is running safely. Our team have many years experience servicing domestic boilers and will be able to fully inspect your boiler. 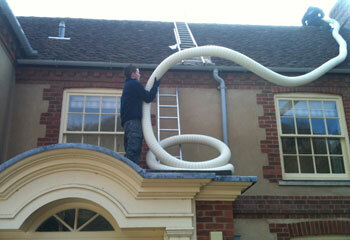 Part of out servicing process involves carrying out a flue test, which will check for any harmful emissions. Regular servicing gives you the peace of mind that your boiler is operating as it should be. There is always the threat of your boiler developing a fault and this is when it is important to contact an expert team who will be able to respond quickly to solve the issue. If you notice a fault with your boiler then do not hesitate to contact our team who have a vast amount of experiencing repairing a range of domestic boilers.